Race after Rattla on Kais Blade Cycle! Dont let him get away with the golden Hypnobrai staff and the anti-venom hidden inside! Can Kai defeat his mind-controlling menace with the Blade Cycles big blade attack? You decide! Watch out for Rattlas hypnotic stare and tail as you battle for the prize! Includes Kai ZX and Rattla minifigures, golden Hyponobrai staff and 2 ninja swords. Enjoy the ultimate LEGO NINJAGO building experience as you construct the majestic Temple of Airjitzu and surrounding village! The highly detailed Temple building has many delightful architectural features including ornate windows and sliding doors. Fold out the rapid shooters and take down the Ghost Dragon! Escape from the Ghost Dragon and Skreemers with the Aeroblade on Cole’s Blaster Bike, featuring 2 foldout, six-shooting rapid shooters! Ride Cole’s Blaster Bike into battle and protect the Aeroblade! The Ghost Warrior Cowler is armed with a deadly Ghost Blade Sword and is launching an aerial attack on a Ghost Dragon. Fold out the awesome dual six-shooting rapid shooters to take down the flying beast. Speed away from the pair of Skreemers trying to turn Cole into a ghost and don’t let them get their hands on the Aeroblade! Includes 2 minifigures with assorted weapon elements and an accessory element: Cole and Ghost Warrior Cowler. Cole’s Blaster Bike features 2 foldout rapid shooters, big wheels, 2 golden exhausts and a flag with Ninja details. The Ghost Dragon features a posable head, wings and tail, and a saddle. Also includes 2 Skreemers (attachable to minifigures) with a sausage element. Ghost Warrior Cowler minifigure features transparent ghost legs. Weapon elements include Cole’s Deepstone Scythe, Cowler’s Ghost Blade Sword, and the Aeroblade. 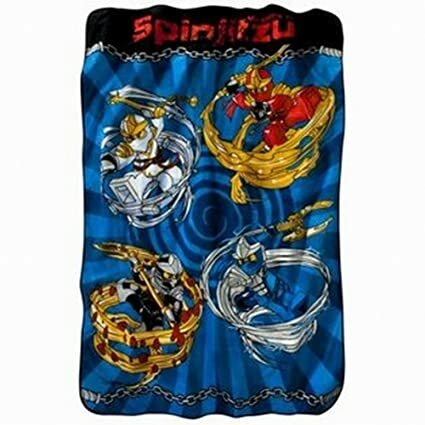 This bright colored 62″x90″ microraschel blanket features the Master of Spinjitzu from the Lego Ninjago toys. Your son will wrap himself in this warm and cuddly 100-Percent polyester blanket which is machine wash and dry. On a dangerous journey aboard Destinys Bounty, an ancient shipwreck, Sensei Wu and the ninja have located the powerful golden Hypnobrai staff deep inside of the secret snake shrine. As they land the flying ship in the water to seize the staff, Zane and Jay get a scaly surprise from Hynobrai General Skales and his accomplice warrior, Slithraa. Sensei Wu fires the ships cannon into the battle until his ancient enemy, Lord Garmadon, appears. 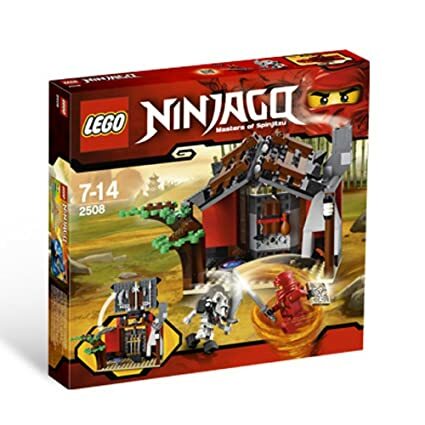 Can Sensei Wu protect the Ninjago treasures onboard without the help of the ninjas? Choose your battle in an epic showdown where the fate of the Ninjago world hangs in the balance! 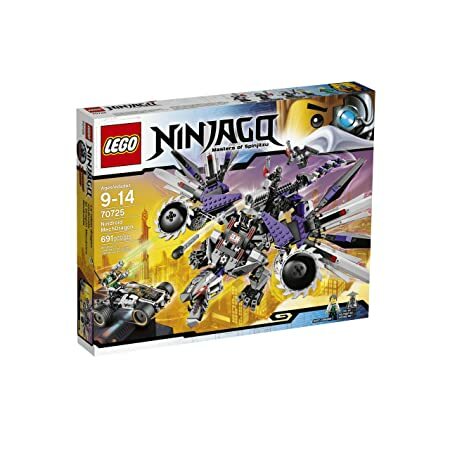 Includes 6 minifigures: Sensei Wu, Kendo Zane, Kendo Jay, Lord Garmadon, Skales and Slithraa; Destinys Bounty ninja ship, snake staff shrine, golden Hypnobrai staff and 16 weapons. At the Blacksmith Shop, General Kruncha is trying to steal the secret map showing the location of the four golden Spinjitzu weapons. Help Kai fend him off using the different weapons at his disposal – Spinjitzu style! Set also includes 10 weapons and a chicken leg. 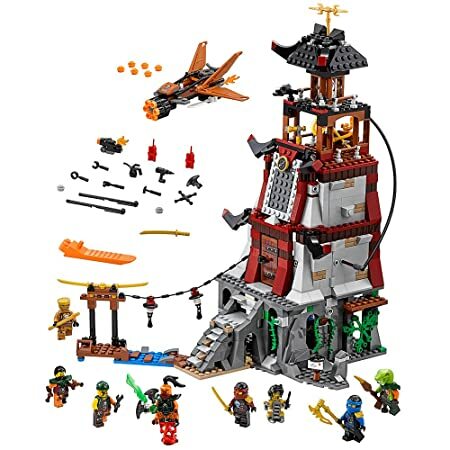 Defend the Ninja temple from Morro Dragon attack! Intercept the Morro Dragon and stop the Evil Green Ninja stealing the Realm Crystal from the Tomb of the First Spinjitzu Master. Danger – Morro has possessed the Green Ninja! Now he is swooping to attack the Tomb of the First Spinjitzu Master on his mighty dragon and capture the Realm Crystal. 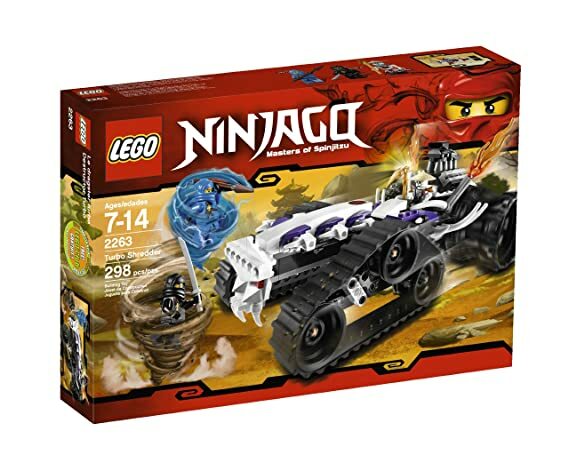 Team up with Kai and Jay on their Ninja jet boards to intercept the ferocious beast as the Evil Green Ninja steers it towards the tomb’s entrance with the Ghost chain. Evade the dragon’s snapping jaws and the food-munching Skreemers as they try to turn the Ninja heroes into ghosts. Use the Aeroblades and all your Ninja skills to stop these ghoulish invaders stealing the Realm Crystal! 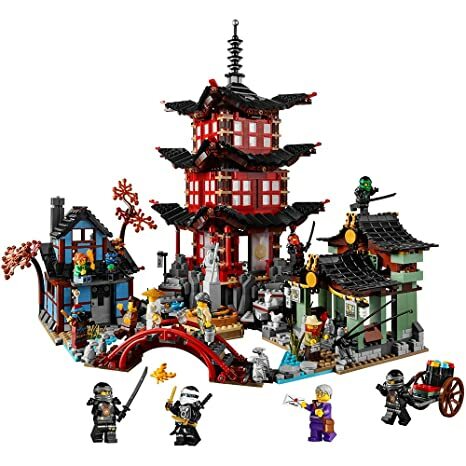 Includes 6 minifigures with assorted weapon and accessory elements: Kai, Jay, Evil Green Ninja, Chain Master Wrayth, Ghost Warrior Cowler and Ghost Warrior Yokai. The Morro Dragon features a saddle with steering Ghost chain, posable head with opening jaws, huge posable fabric wings, posable legs and tail, and sharp talons. The Tomb of the First Spinjitzu Master features a grand entrance, the Realm Crystal element, 2 Aeroblades, 2 Katanas, weapon storage with assorted elements: 2 golden spears, 2 golden flags and 2 torches with translucent flame details. 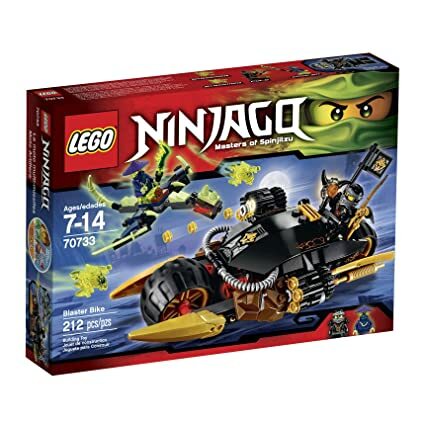 Includes 2 Ninja jet boards with adjustable wings and Ninja sword details. Also includes 2 Skreemers (attachable to minifigures) with banana, sausage, dynamite and axe elements. Weapon elements include 2 Golden Katanas and 2 Deepstone Katanas (for Kai and Jay), Evil Green Ninja’s Ninja Staff, Wrayth’s Ghost Master Blade on a chain, Yokai’s double-bladed spear and Cowler’s ghost spear. Accessory elements include Deepstone armor for Kai and Jay. 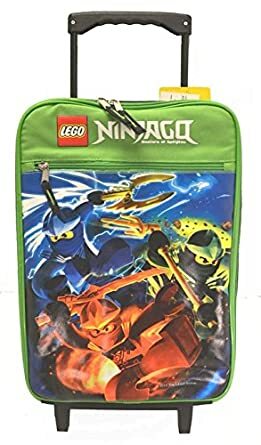 Pythor and the Anacondrai have returned to NINJAGO so the Ninja team must rush to the scene with the Ninja DB X to confront NINJAGO’s most fearsome enemy! Drive the powerful 6-wheel vehicle through the jungle and into battle at the Anacondrai gateway. Detach the Command Center to reveal the hidden dual spring-loaded shooter and open up the control room for easy play. Make battle plans in the hi-tech control area and choose your weapons and tools from the rack. Launch the flyer from the lookout tower with Nya and fire its stud shooters. Zoom into combat with Kai on his cool motorbike. You must defeat the Anacondrai warriors and escape from the island! 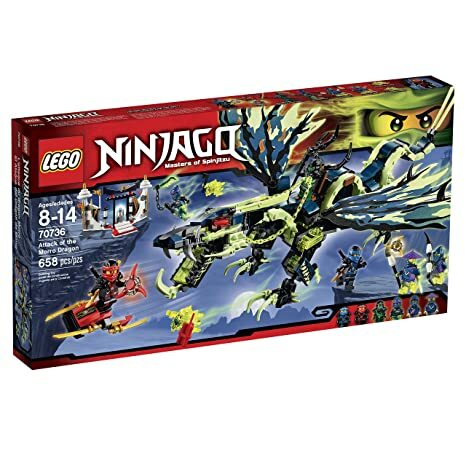 Includes 6 minifigures with assorted weapons and accessories: Kai, Nya, Garmadon, Pythor, Kapau and Chop’rai. The Kraang have got the power cell and are getting away in their mini Kraang sub. Rev up the engine of the awesome Turtle Sub and power away in hot pursuit with Donatello, Leonardo and Leatherhead. Watch out for the Kraang sub’s flick missiles, fire the shooter and detach the mini sub to ambush the shark droids’ underwater vehicle. Select a weapon from the armory and dive into the water for a thrilling Ninja Turtle vs. The Kraang underwater conflict! 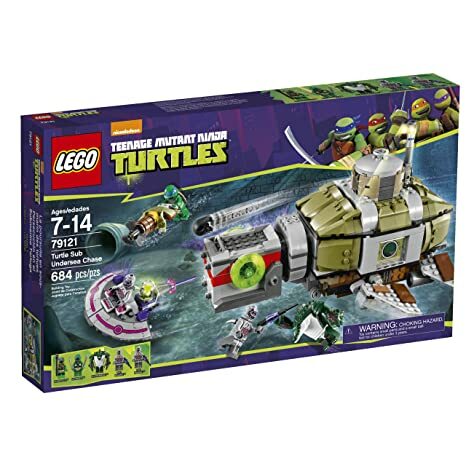 Includes 4 minifigures with weapons and accessories: Donatello Leonardo, 2 Kraang, plus a Leatherhead figure. Help Nya, Jay, Echo Zane and Tai-D defend the lighthouse from attack by Nadakhan’s sky pirates. 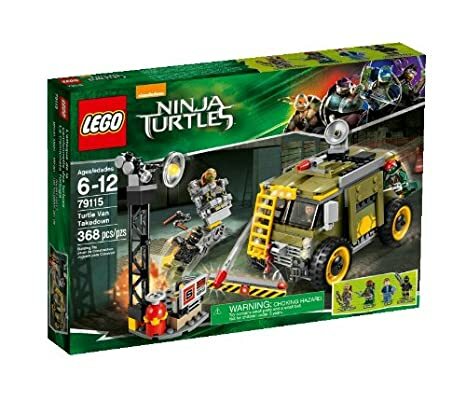 This multi-story hideout kids toy features a glowing light-brick function and lots of traps, including entrance steps that open to send minifigures falling into the basement prison, and a crank-operated function for dropping dynamite elements on invaders. The lighthouse also has a jetty outside with a string of hanging lantern-style elements, while the sky pirates have a jet featuring a 6-stud rapid shooter to dial up the conflict. Includes 7 minifigures and a robot. Frakjaw is escaping with the Golden Scythe in his Turbo Shredder, so Sensei Wu has sent Jay and Cole to recover it. Help our fearless heroes use Spinjitzu to avoid being swallowed up by the Shredder and grab the golden weapon! Part of the LEGO Ninjago collection. Spin your way to victory with this cool Weapon Pack! Pick your character and play the cards to influence the outcome. Battle NRG Kai against Chokun, protector of the mighty Constrictai snake tribe. Create and customize your own Spinjitzu battles. 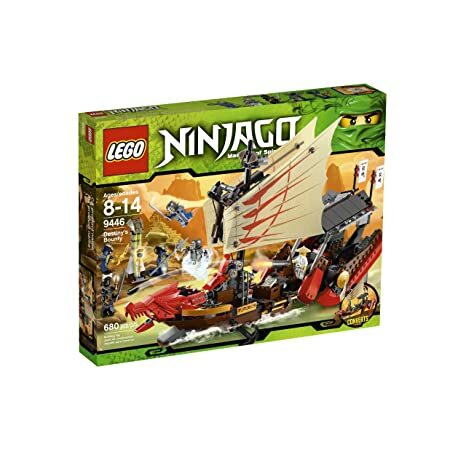 Set includes 2 LEGO minifigures, 2 spinners, 2 crowns, 2 LEGO bricks, shields, blades, fang blades, 2 golden weapons, 8 regular weapons, 2 character cards, 8 battle cards and enough LEGO bricks to build the starter arena.